Rock, Alpine, and Ice Routes from the Gunks to Acadia In the past, climbers have been forced to buy many guidebooks to specific regions in the Northeast and sift through them on their own, hoping to spot the gems. But now two mountain guides who have climbed extensively in the region share their A-list picks with us. There's not a route in this book that won't thrill you by the quality of the climb, the aesthetic experience, and its historical significance. 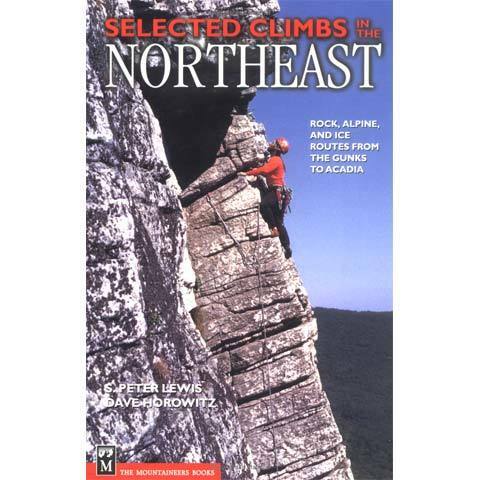 Coverage includes rock, alpine, and ice routes from the Gunks to Acadia: New York-Shawangunks, Catskills, Adirondacks; Connecticut-Ragged Mountain; Vermont-Smuggler's Notch, Lake Willoughby; New Hampshire-Franconia Notch, Cathedral Ledge, Mount Washington, Frankenstein Cliff, Whitehorse Ledge, Mount Webster, Mount Willard, and White's Ledge; Maine- Acadia National Park and Mount Katahdin. David Horowitz is a guide with Eastern Mountain Sports' New York climbing school. He lives in Rosendale, New York. S. Peter Lewis, a climbing guide based in Bridgton, Maine, has served as the executive director of the American Mountain Guides Association. He is the author of Climbing: From Gym to Crag, Building Skills for Real Rock.